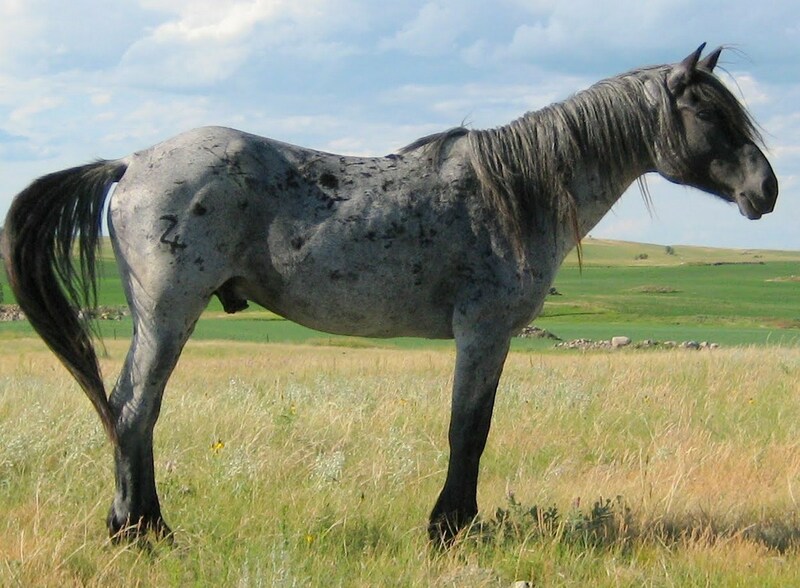 Blue roan, black and grey. The three most common colors of the breed. Mankhöjd ca 133-170 cm, medelhöjd ca 148 cm, de större benämns ofta som “Ranch”typ och de mindre som “Traditional”typ. Färgmässigt variationsrik och domineras av svart, skimmel och svart konstantskimmel. Lugnt, socialt och lekfullt temperament med ett tydligt kroppsspråk. Sluttande och bakifrån sett rektangulärt kors. Jämna, mjuka och icke markbundna gångarter. En del visar extra gångarter. Grov benstomme med stora och slitstarka hovar. Sund och härdig häst som kräver lite underhåll. Height about 13.1-17 hands, average about 14.3 hands, the larger ones are generally referred to as Ranch type and the smaller Traditional type. 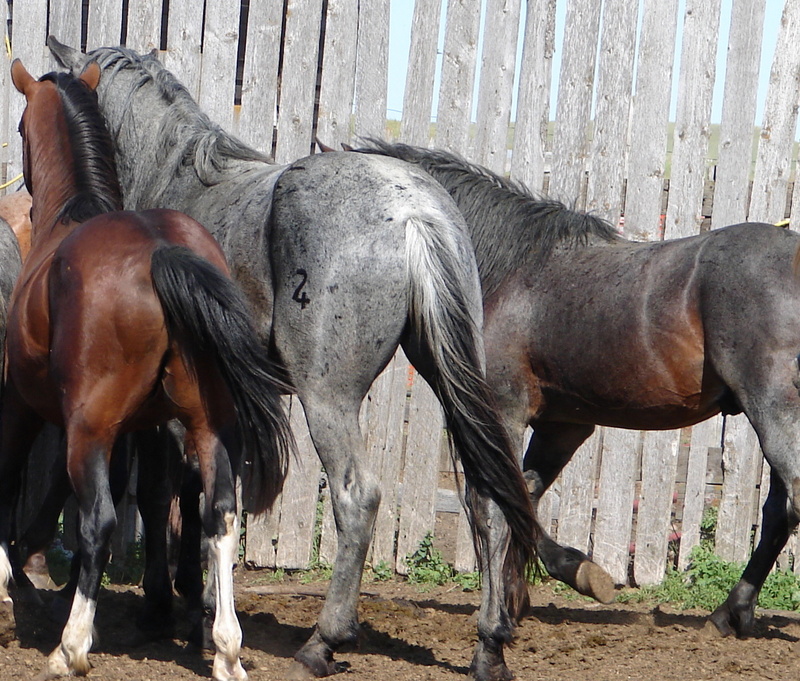 Large variation in color but dominated by black, grey and blue roan. Calm, social and playful disposition with a clear body language. Sloped croup and rectangular on the hind. Even and soft gaits. Some show extra gaits. Good bone structure and large hooves of good quality. 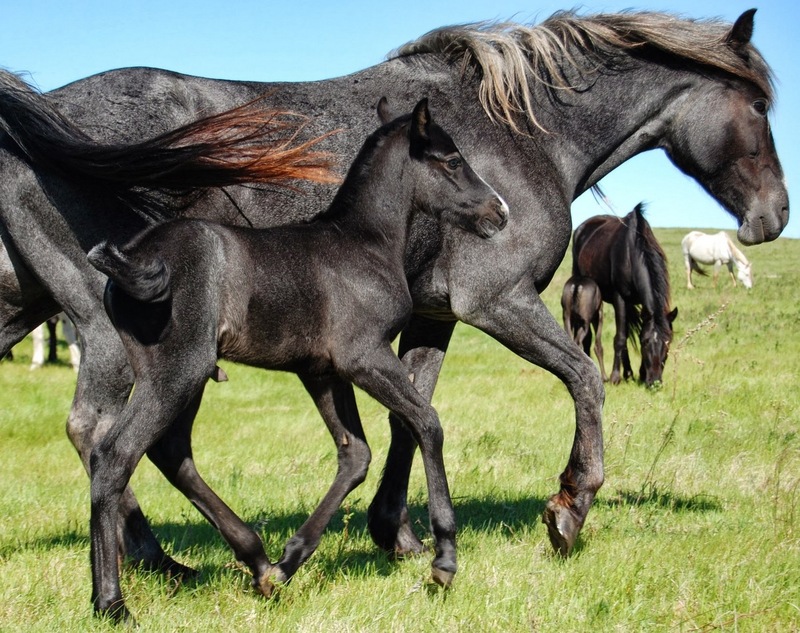 A sound and hardy horse that do not crave much maintenance. Se Historiksidan för en kort sammanfattning på svenska av rasens historia. Heights vary greatly within the breed. 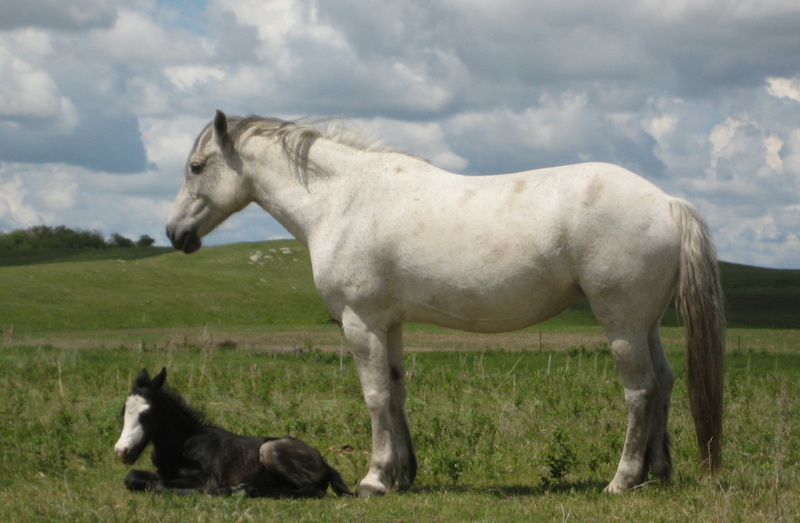 Two Wolves, a Ranch Type Mare. Blue Bird, a Traditional Type stallion and sire of three of the European Nokotas®.